A prefab costs around €13,500 to rent a year. RENTING PREFABS FOR primary and secondary schools cost the State €60.4 million over a three year period. Following a parliamentary question from Labour TD for Dublin South East Kevin Humphreys, the Minister for Education and Skills Ruairí Quinn disclosed the number of prefabs being used in primary and secondary schools throughout the country. There were 1,694 prefabricated units being rented at the end of March 2011 at a cost of €23.2 million in primary and post-primary schools. This number fell to 1,490 units being rented at the end of March 2012 at a cost of €19.7 million and 1,273 units being rented at end of March 2013 at a cost of €17.5 million. That means, on average, a prefab costs around €13,500 a year to rent. Although the cost of building a classroom varies from site to site, so far the construction of 55 classrooms has saved €1 million for the state. Under the Department of Education’s 2012 Prefab Replacement Initiative, approval was given to 170 schools nationally to replace 458 prefab units with permanent accommodation. Around €42 million was allocated for this initiative of which €27.2 million has been paid to date. Of these a total of 142 projects have gone to construction and 55 of these have been completed saving the state in the region of €1 million so far. The initiative will result in savings of around €5 million per year on the rental of prefabs in the coming years. In June, Quinn announced a further Prefab Replacement Initiative to replace 115 prefabs in 46 schools with permanent accommodation. A total of €15 million was allocated and this further initiative will result in additional rental savings of €2.5 million per annum. Quinn added that replacing prefabs is part of the government’s €475 million education infrastructure plan for 2014, which will provide “modern, high quality accommodation for pupils and teachers and construction related jobs for workers around the country”. Deputy Humphreys told TheJournal.ie that replacing these prefabs with permanent classrooms is needed to ensure savings are being made. “In the past the answer to the booming population was prefabs. Now the answer is to build classrooms. They are a long-term investment”. 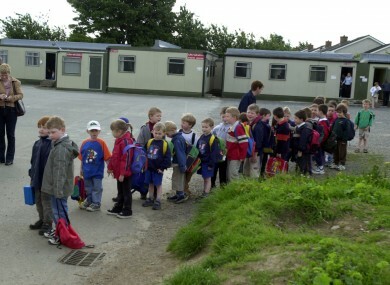 Email “€60.4 million spent on renting prefabs as classrooms over three years”. Feedback on “€60.4 million spent on renting prefabs as classrooms over three years”.